Yesterday GSPCA Manager Steve Byrne welcomed Guernsey Disability Alliance ED Karen Blanchford to the Shelter in St Andrews. The GSPCA are always looking at ways to improve the facilities at the Shelter and to improve the opportunities for the community as well as the animals needing our care and help. 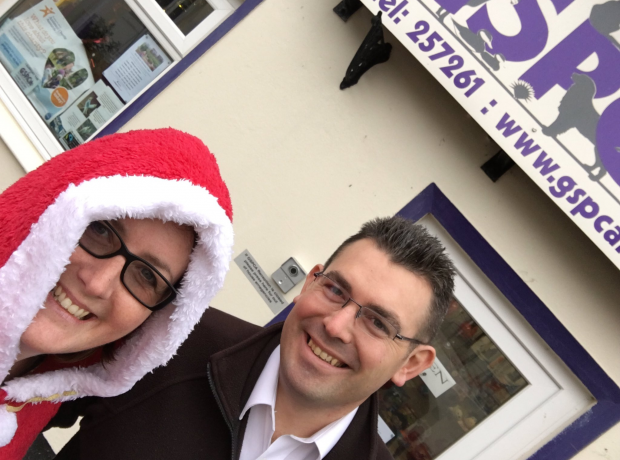 Steve Byrne GSPCA Manager said "It was wonderful to meet and show Karen from GDA around yesterday and discuss ideas of how we can work together and benefit the community."